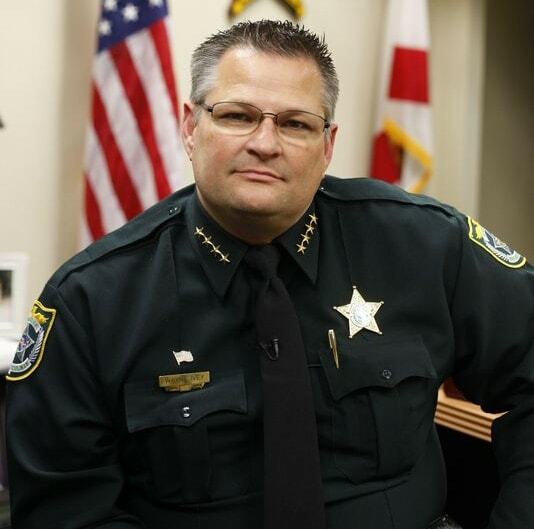 Florida Sheriff: "My support of Open Carry goes even deeper"
As each of us watches with astonishment at what is currently taking place across our country, we struggle to find solutions to reduce the potential for the next active shooter or violent crime that could take place in our own communities. Shootings and mass killings at churches, movie theaters, schools, malls, military bases, and even colleges have forever changed the game and have left Law Enforcement and law abiding citizens scrambling for an answer to prevent the next critical incident. While there are many opposing opinions, personal views and empirical data reflecting respective positions, there is only one undisputed fact: the best law enforcement agencies in the country have response times in minutes and bad people with evil intentions act in seconds. Like each of you, I strongly support our Constitution and have unwavering support for the 2nd Amendment. There is no doubt that historians and legal minds often disagree on the intentions and interpretations of the 2nd Amendment, however, most will agree that the true essence of the 2nd Amendment was to allow people the right to bear arms to protect themselves. While the Constitution lays the foundation for “the right to bear arms,” my support of Open Carry goes even deeper. Our jobs as Law Enforcement Officers is to prevent, investigate, and solve crimes while doing everything we can to legally protect our citizens. We stress to our citizens every day the importance of making themselves, their homes, and their businesses “hard” targets so that criminals will not target them or their families. Violent criminals are opportunists, who look for an easy or “soft” target to victimize. For decades Law Enforcement agencies have instructed citizens to put alarm signs out front of their homes and businesses to deter criminals. In fact, most agencies will even instruct citizens to prominently place an alarm sign at their location even if they don’t have an alarm. Why? Because we are trying to make their homes and businesses hard targets and not soft targets. The same theory applies to open carry when we are trying to protect our citizens. I don’t want our citizens to have to defend an attack that could have easily been avoided had they been able to clearly demonstrate to a waiting criminal that they are a hard target and not a soft target. To emphasize this point, I ask you to consider that each and every day across our country we investigate robberies at restaurants, banks, drug stores, gas stations, convenience stores and homes, but what we don’t see are armed robberies at pawn shops and gun stores. The reason why is very simple—because criminals know what awaits them on the other side of the counter! 81% of interviewees agreed that a “smart criminal” will try to determine if a potential victim is armed. 74% indicated that burglars avoided occupied dwellings because of fear of being shot. 57% said that most criminals feared armed citizens more than the police. 40% of the felons said that they have been deterred from committing a particular crime, because they believed that the potential victim was armed. 57% of the felons who had used guns themselves said that they had encountered potential victims who were armed. 34% of the criminal respondents said that they had been scared off, shot at, wounded, or captured by an armed citizen. Based on this government-funded research, it would appear that known armed citizens do represent a direct deterrent effect on crime. Our citizens deserve the right to demonstrate that they have the ability to protect themselves. At the very least they deserve the choice to reveal themselves as a hard target and not a soft target. I challenge you to find a single Law Enforcement Officer or Sheriff in our state that doesn’t believe that a criminal is less likely to target a victim whom they know is armed and prepared. If you know in your heart this is a true statement, then how can we as law enforcement leaders deny a citizen the right to demonstrate that they have the ability to protect themselves? Lastly, there are 45 other states in our country that have “some” form of open carry. There is no question that “Open Carry” will eventually occur in Florida. 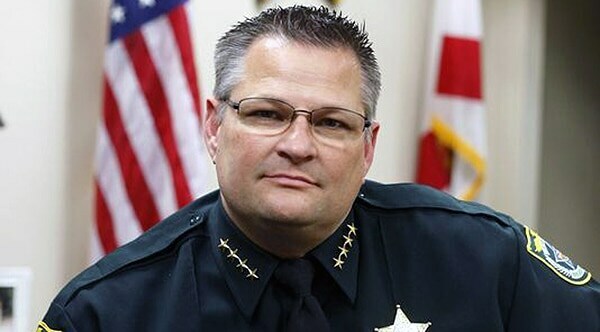 The overall design and intent of HB 163 and SB 300 is to mandate the same statutory requirements, regulations, qualifications and restrictions that currently apply to the Florida Concealed Carry Permit such as safety training, weapon handling proficiency, background check, permitted areas of carry, and psychological well being. I personally believe it is imperative that we as law enforcement leaders express a clear and convincing voice in the design and potential impact of this bill. By sitting at the table with the various groups that want to discuss this important issue, we can work together to draft legislation that is designed to protect our citizens, our protectors and our Constitutional Rights. To simply stand idly by and say we either agree or disagree does absolutely no service for our employees and citizens. We as law enforcement leaders should be standing and proudly voicing our desire to ensure that all legislation meets the number one priority of government, to protect its citizens. By not only having a voice, but exercising that voice in the drafting of this bill, we can make sure we create positive laws that are in the best interest of our citizens and our Law Enforcement members. The views and opinions expressed in this post are those of the author’s and do not necessarily reflect the position of Guns.com.